I used to buy dry shampoo all the time because I don't like to wash my hair everyday. I prefer to wash it every other day so I don't apply heat everyday, or strip my scalp too much of it's natural oils by constant shampooing etc. It's also great to use when you don't have time or just don't have the energy for the whole process. Unless you're one of the lucky one's who can "wash and go." And, honestly, It was getting rather expensive purchasing dry shampoo all the time, so I sought out to make my own. 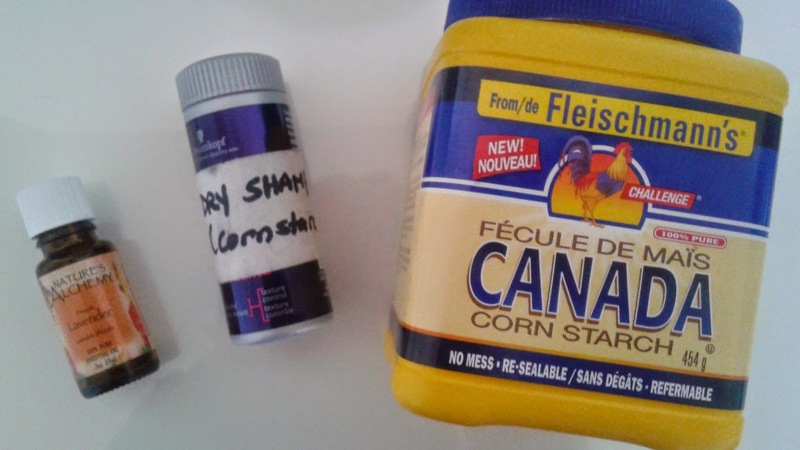 You can either use Cornstarch with Arrowroot powder mixed in equal parts, or you can use either of them on their own. 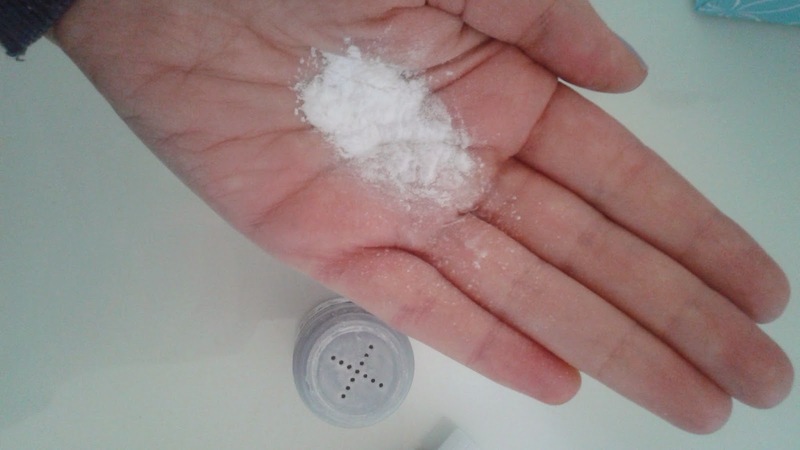 For this batch, I have used just Cornstarch powder Organic Cornstarch . Then add a few drops of your favourtive essential oil (mine is Nature's Alchemy French Lavender ) and mix. Pour into a spice jar of your choice. I don't like to shake it onto my scalp, you could, but it will be harder to blend especially if you have darker hair. I pour approximately what you see in the picture above and then i massage it between my two hands. After that, I massage it into my roots. It will refresh your hair, absorb the oils and let you skip a day of washing, repeat this process if you feel you need more. It's also good to use if you've used too much product in your hair, this will help absorb the excess product(s). I have blonde hair with darker roots and I will apply extra if I want to make my roots a little less obvious. This is a great, simple, easy to make recipe that works! And, it will save you a lot of money in the long run. Plus, you're not putting a bunch of chemicals into your hair and scalp and the environment. I hope you like it! Let me know if you try it or have any recipes of your own..